DYERSBURG, TN. — Olympic gold medalist and cancer survivor, Shannon Miller, was named the keynote speaker for the upcoming Sixth Anniversary Celebration of Dyersburg Regional Medical Center’s Healthy Woman program. The event will take place at First Christian Church on Saturday, Oct. 19, located at 400 E Tickle St, Dyersburg, TN. Tickets are $20 and include a vendor expo, fashion show, great food, door prizes and Miller’s presentation. To purchase tickets, please check www.dyersburgregionalmc.com for more information. Photo shows seven-time gold medalist, Olympic gymnast and cancer survivor, Shannon Miller, in a Home & Family video interview speaking about winning her battle with ovarian cancer. Miller, 36, is the most decorated gymnast in American history and the only female athlete to be twice inducted into the U.S. Olympic Hall of Fame. She has won 59 international and 49 national medals – over half of them gold. She earned the most medals won by a U.S. athlete in any sport at the 1992 Olympic games, and also went on to lead the ‘Magnificent Seven’ to the first ever Team Gold win for U.S. Women in the 1996 games. 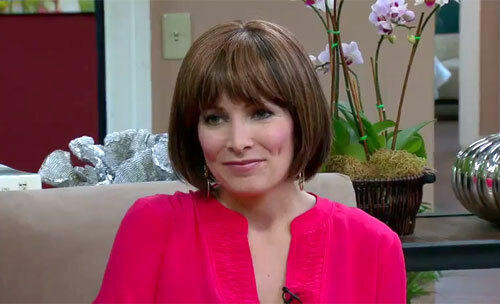 Watch video where Shannon Miller speaks about winning the battle against ovarian cancer. Miller’s company, Shannon Miller Lifestyle: Health and Fitness for Women, continues to advocate for the health and wellness of women and children. Miller said this includes making annual exams and screenings a priority, learning how to create a healthy lifestyle and how to become their own advocate for healthcare issues. If you would like to book Olympic medal winners or cancer speakers like Shannon Miller for a speaking engagement, product endorsement, charity fundraiser or special event, you can request Shannon Miller agent and speaker fees at Sports Speakers 360. For booking agent and appearance fee information, call 1.855.303.5450.